Film screening and discussion with Anjali Sundaram. Award winning filmmaker Anjali Sundaram will treat us to her vision of the intersections of culture, identity and globalization within frameworks of memory, autobiography, imagined futures and pseudo-science through her films. A lecture and discussion about her innovative work will follow the screening of the short films, Everything But Time, Testimonies & Evidence, and Canada. The evening promises to be exciting and fun because it will allow us to see ourselves and our world through the eyes of this innovative filmmaker. 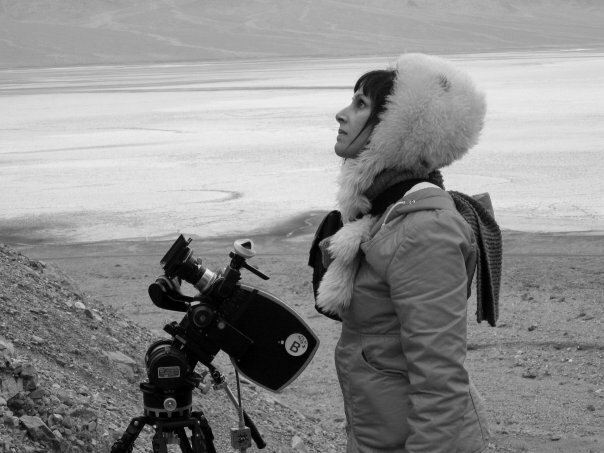 Anjali Sundaram is a media artist, cinematographer and Assistant Professor in Film Studies at Simon’s Rock College. Her work is preoccupied with creating spaces which transcend traditional categories of fiction and non-fiction. She uses narrative, stop-motion animation, installation and mock-documentary; to explore intersections of culture, identity and globalization within frameworks of memory, autobiography, imagined futures and pseudo-science. Sundaram’s recent multimedia collaborations with the collective I, Daughter of Kong have appeared at The Lab and Southern Exposure in San Francisco, Swing Space in New York, Co-Lab in Austin and Galerija Miroslav Kraljevic in Zagreb, Croatia. Her film work has screened at microcinemas and film festivals nationally and abroad. She has received awards from the Princess Grace Foundation and the Robin Eickman Foundation and is currently writing a feature film about the South Asian community in Silicon Valley.